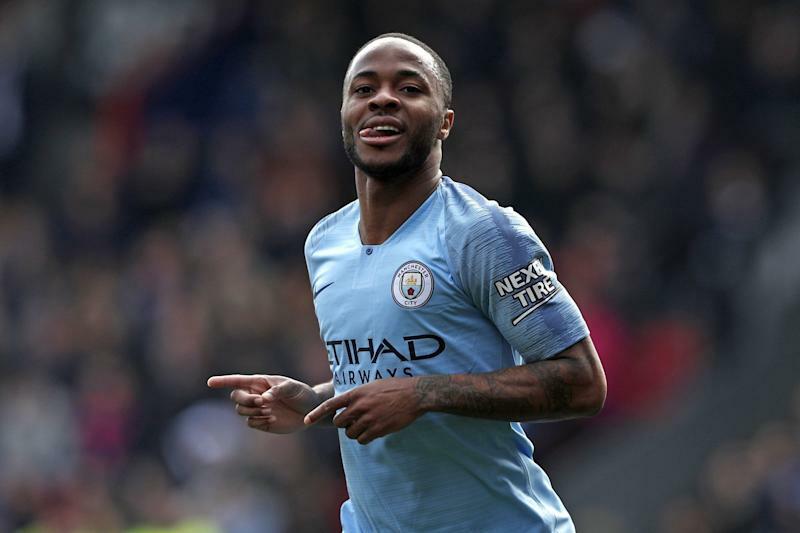 A brace from Raheem Sterling helped Manchester City to a straightforward 3-1 win over Crystal Palace. 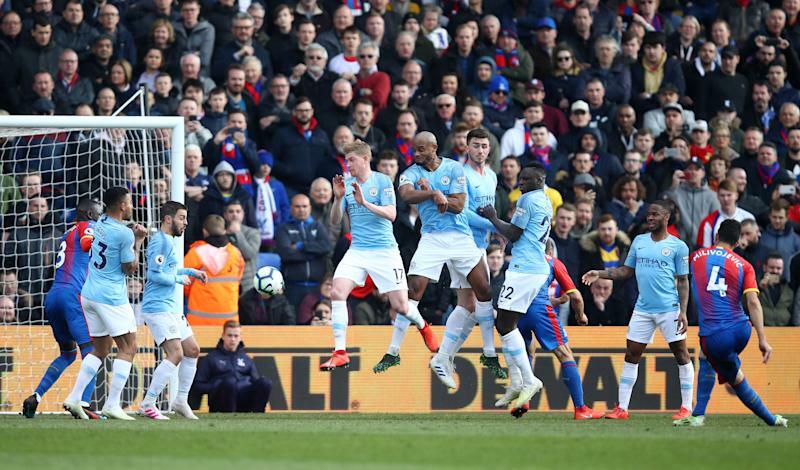 With Liverpool not playing Chelsea until later in the day, City knew three points at Selhurst Park would be enough to see them temporarily return to the summit. A cool finish from Sterling put Pep Guardiola’s team ahead in the 15th minute after a perfectly-placed through ball from the recalled Kevin de Bruyne. City dominated throughout and Sterling doubled the lead with a close-range finish from Leroy Sane’s driven cross just past the hour mark. 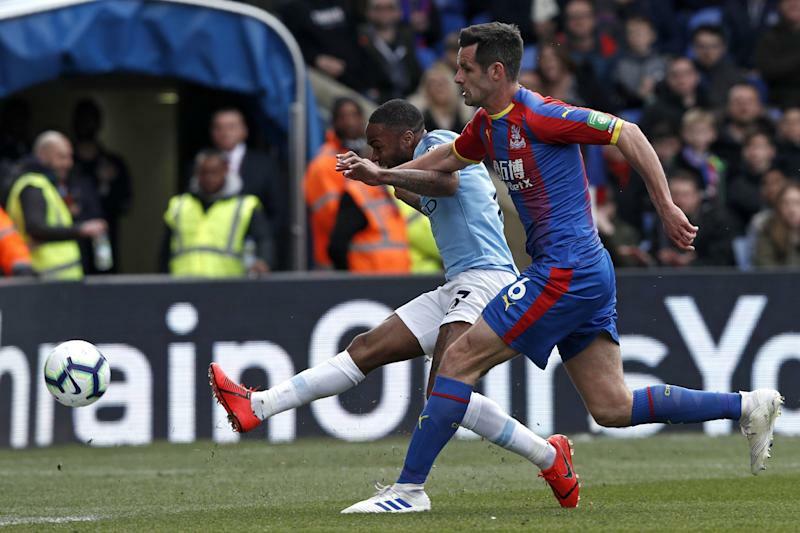 Palace dragged themselves back into the match through Luka Milivojević’s free kick nine minutes from time, before substitute Gabriel Jesus settled the matter in the closing stages. The win moves City onto 83 points, two points behind Liverpool - who recorded a 2-0 victory over Chelsea - with a game in hand over Jurgen Klopp’s men. The visitor’s goalkeeper Ederson was a bystander for the first 80 minutes with Christian Benteke’s weak volley the most Palace could muster. Man-of-the-match Sterling would have had a hat-trick if he hadn’t somehow scuffed a simple chance wide in the opening minutes of the game. City now head into back-to-back matches with Tottenham Hotspur which will have a major impact on their trophy ambitions, both domestically and in Europe. Spurs lead City 1-0 heading into Wednesday’s Champions League quarter-final second leg at the Etihad Stadium, with a league meeting between the two teams in North London taking place on Saturday. “It’s one game that we’ve lost,” Sterling told Sky Sports after the game. “It’s not like we’ve been on a bad run. The performance of City’s midfield trio of David Silva, Ilkay Gundogan and De Bruyne - who was controversially left out of the starting line-up for the Champions League defeat to Spurs - would have encouraged Guardiola heading into the defining weeks of the season. The only regret for Sterling was that he didn’t leave with the match ball after an uncharacteristic miss early in the first half. Premier League: Fulham and Huddersfield are destined for the drop, but which players will abandon ship?